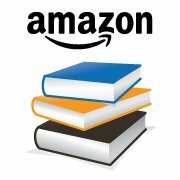 Wanda takes readers on a frightening journey across Indiana, exploring haunted houses, rivers, and other locations. 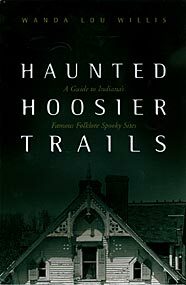 Supplemented with excellent original maps, photos, and illustrations, Haunted Hoosier Trails is a collection of spooky tales and real-life horror stories that doubles as a Halloween travel guide. What’s spookier than Haunted Hoosier Trails? 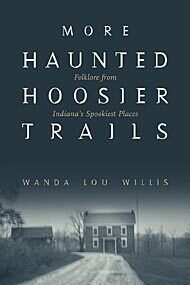 Beloved Indiana folklorist Wanda Lou Willis returns with an all-new collection of hair-raising tales of the spooky cemeteries, lonely roads and haunted homes all over Indiana. Local history buffs will relish the informative county histories that begin each chapter, while thrill-and-chill-seekers will eagerly search out these frightening locales. Park their cars along Moody Road in Jasper County to find the tell-tale lantern light of a remorseful young man who accidentally decapitated his brother. Step inside Hannah House in Indianapolis, where they may encounter the ghosts of escaped slaves on the Underground Railroad who perished in a tragic fire. Get a lesson in fear at Indiana University in Bloomington, long believed to be among the most haunted campuses in the country. Learn about strange happenings and restless spirits in cities, towns and counties all across the state. 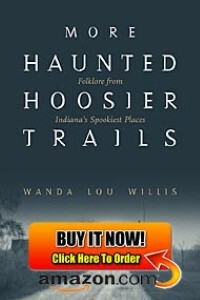 The carefully researched and truly scary tales by one of Indiana’s most respected folklorists will enthrall even the most skeptical reader. 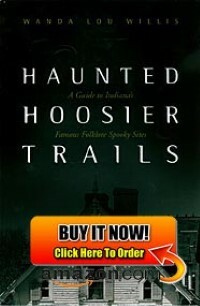 More Haunted Hoosier Trails is a terrifyingly good read.